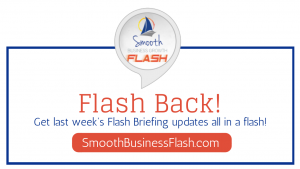 Did you miss WEEK 5 of my Flash Briefings for Smooth Business Growth Flash Update? Don’t worry they’re right here in this flash back to the last week! 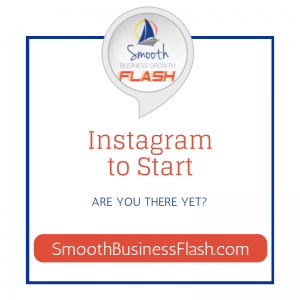 Are you ready to get started on Instagram? Well this week I’m going to share with you, a few facts you need to know to get you on your way to becoming a pro. Does Instagram look complicated or messy or confusing? 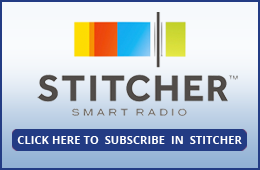 There are ways to learn about the platform so you can have a beautiful display of graphics. 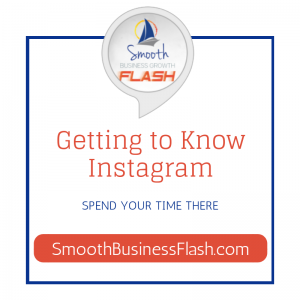 Instagram is all about graphics and short video clips to gain attention of your followers. Spend a little time looking around Instagram and what other people are doing. 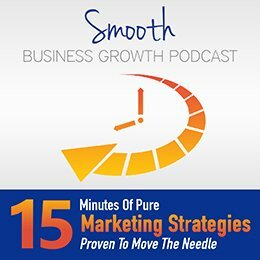 Take the time to understand your audience and what they are looking for. Find out what people like – what kind of pictures are trending. You’ll notice, more often than not, the most popular pictures are about Inspiration, Pets, Travel and Food. Yup that’s right, it doesn’t aways have to be about work! 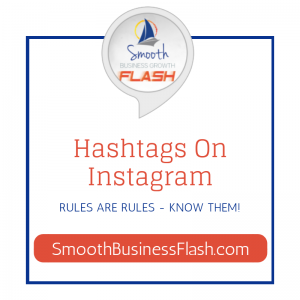 Much like Twitter, Instagram uses hashtags – but there are a few rules you need to know. Hashtags are super easy to find on Instagram. When you enter the number sign (or hashtag symbol) and start typing the word you want, several word-combination options become available. If you search the hashtag, you can actually see how many times it’s used. Popularity is important, however here’s the BIG RULE… you CANNOT have more than 30 hashtags in a single post. Instagram won’t let you post until you reduce them to 30. Use your hashtags wisely. If you choose to use Instagram, you should probably optimize your graphics and videos to best suit the platform. It’s very simple to optimize your graphics and videos for Instagram. There are apps like Canva or Kapwing that will make them not only look good, but look good on Instagram in particular. Graphics are generally SQUARE for Instagram. I use 800×800 in Canva for my graphics and for my clients too. Other dimensions will work, but you have to play around with them in the app and they may not turn out the way you intended them to. Instagram doesn’t like it if you put a URL (or link) in the body of your post, but there’s always a solution to this inconvenience. I’m not sure what the deal is with Instagram, but I do know this — if you post a link in the body of your post… it does not become clickable. In fact, you can’t even copy and paste it anywhere. That becomes a problem, right? [pause] NOPE. You simply post the link in your Instagram BIO and tell your readers the link you need them to go to is there. 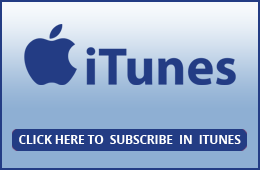 If you have more than one link you need to share with your audience, there are options like LNK.BIO, that’s L-N-K-dot-B-I-O, which is something I use so I can get people to see my blogs, podcasts, videos and anything else I want to share. 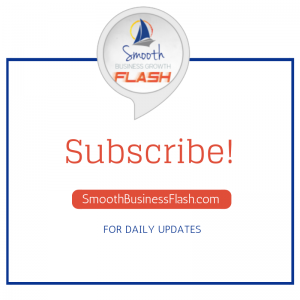 Tags: alexa, blogging, blogging tips, drive traffic to your blog, echo, flash briefing, and SEO.